Thank You! 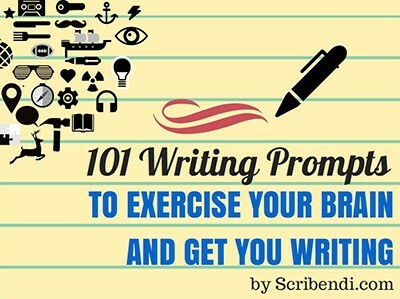 Here's Your Free Copy of "101 Writing Prompts"
We hope you'll enjoy and learn from the great content Scribendi has to offer. Your free copy of 101 Writing Prompts to Exercise Your Brain and Get You Writing is now available. Click here to download! Already written your masterpiece? Check out our manuscript editing service for a free editing quote today.